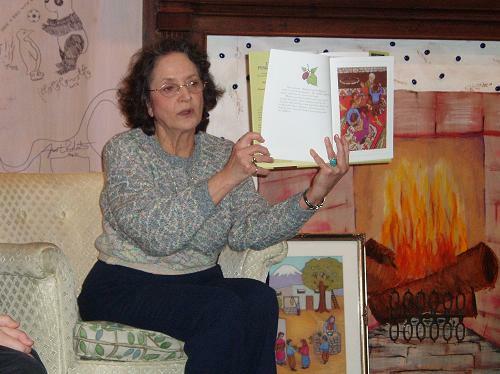 Author Marianne Markarian and illustrator, Margaret Markarian Wasielewski, will read from their new children’s book, Mariam’s Easter Parade, and share Armenian Easter traditions during the Live Storytelling events at the Bowers Museum Kidseum on Saturday, March 28 at 11:30 a.m. and 1:30 p.m. They will also demonstrate Armenian egg-cracking contests and make ribbon wands with the children during the Live Storytelling event. For more information, call 714-567-3694. Marianne and Margaret will visit Curious Cup Bookstore in Carpinteria from 11 am. to 1 p.m. They will read from Mariam’s Easter Parade, demonstrate how to color Easter eggs using onion skins, and play the Armenian egg-cracking contest. Children and their parents are invited to join in on the fun! This event is free. For more information call (805) 881-3230. Margaret will donate a book and read from Mariam’s Easter Parade at 11:45 a.m. following the Sunday service. For more information, call (513) 385-9077. Hope to see you there! More events coming soon in Chicago, Detroit and Portland.